Building a pipeline for candidates is an essential part of staffing and recruitment firms strategies. Having a dedicated strategy and budget for those pipeline roles allows your firm to balance competing priorities and budget against measurable ROI. But how do you plan a strategy for success while juggling your constant demand for candidates? 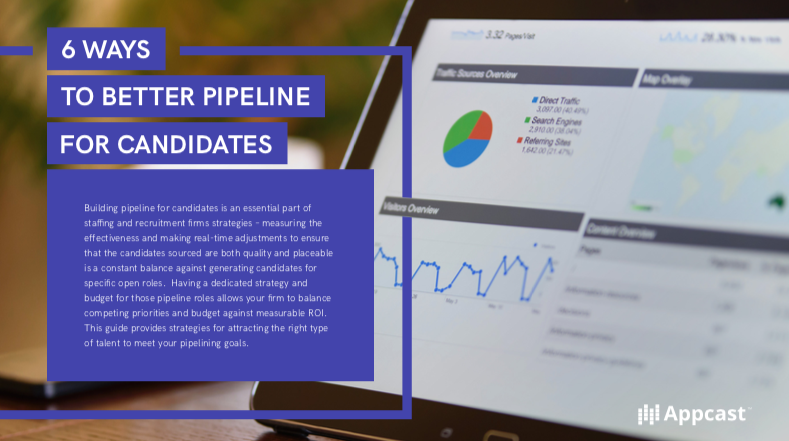 Download our latest tip sheet, 6 Ways to Better Pipeline for Candidates, for strategies on how to attract the right type of talent to meet your pipelining goals.